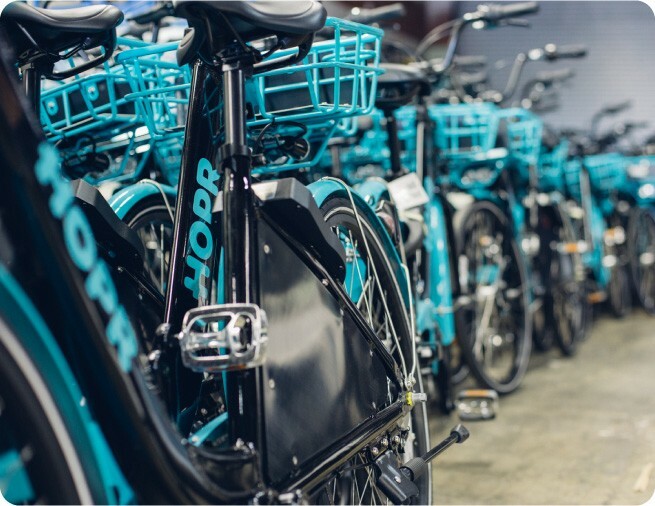 HOPR Campuses | Give your campus the freedom of mobility. The next generation of urban commuters deserve next generation mobility. HOPR solutions enhance campus life. The next generation of urban commuters deserve next generation mobility. HOPR mobility solutions enhance campus life. Connect your campus with HOPR. HOPR makes it easy and efficient for students, staff, and visitors to get around campus. 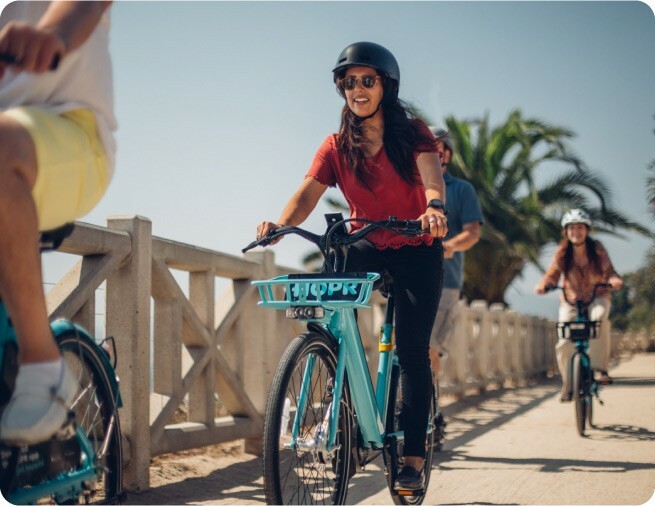 We enhance campus life with shared bikes and scooters that are easy to access and easy to use. 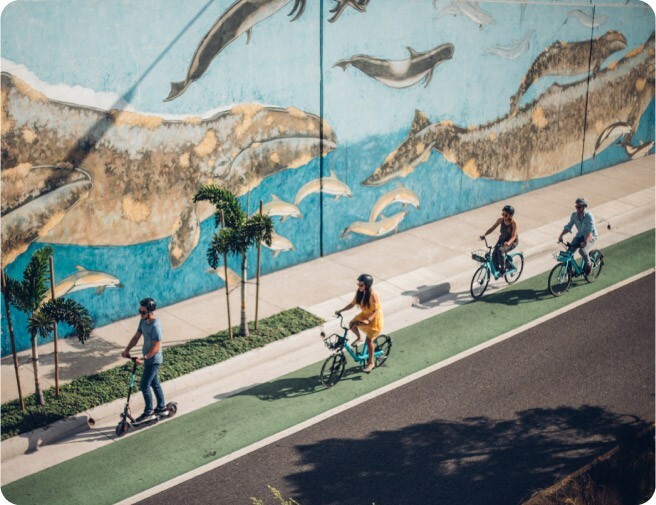 Students earn less, so they should pay less for access to shared bikes and scooters. We have developed equity programs to make sure that every student can afford to ride and enjoy HOPR. We tailor mobility solutions for you. Each campus is unique, so we work closely with local experts ensure the solution is tailored to your needs. 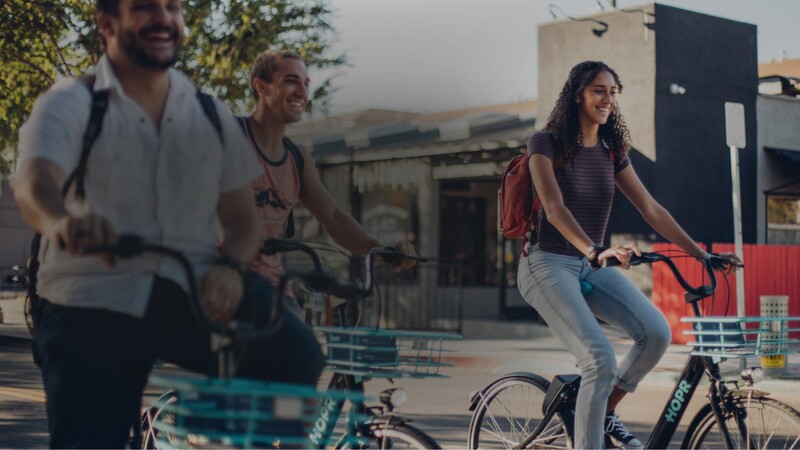 Our focus is to build a bike share and scooter share program that works for your campus. Bring HOPR to your campus.